Benefit, the cosmetics brand, is working with Missguided, Vivienne Westwood, Skinny Dip and Agent Provocateur for its annual charity pink pop-up. 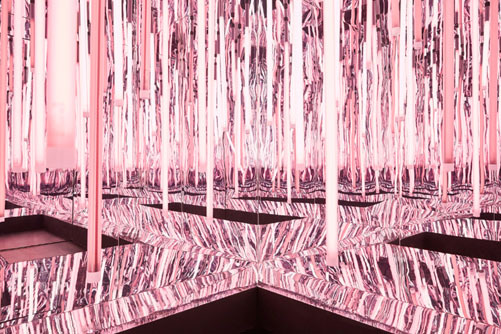 The "Bold is beautiful" project returns at the end of the month and will include a mirrored cube, as well as pink items donated by fashion brands. All sales from the pop-up will go to charity. The activation is designed for women to "harness their most bold and beautiful selves" and learn about Benefit’s charity partners Refuge and Look Good Feel Better. Guests will also be able to get their brows waxed and will receive a complimentary fun size mascara. The experience runs from 27 April to 29 April in London, Glasgow and Cardiff. Kyra White, head of brand activation, said: "Within the five years since Bold Is Beautiful first launched, we have raised more than $11m (£7.7m) globally. This effort has enabled numerous charities around the world to continue doing the incredible work in supporting and empowering women. "This May, brow waxing takes on a whole new meaning – so join the movement and see how your contribution can impact women and girls lives everywhere."